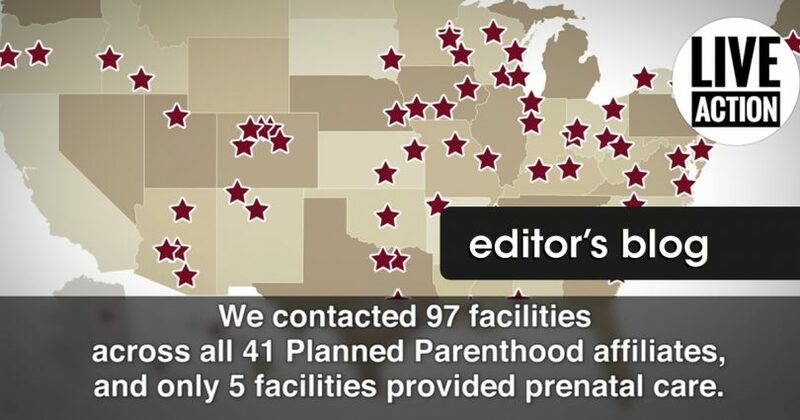 Planned Parenthood is extremely dishonest about so many things, and mainstream media is always there to help the organization spread its lies. These efforts have been highly effective in confusing and tricking many people. Consider, for example, a recent letter to the editor that appeared in Washington State’s Tri-City Herald. The author of the letter David Lassen King, stated the following: “Pro-life groups should support Planned Parenthood, as it can help provide good prenatal care for the mother. It is inconsistent to be pro-life and against Planned Parenthood” (see here). Clearly the constant flow of lies and propaganda trick people. Mr. King believes that pro-lifers should support the nation’s largest abortion chain that ends the lives of more than 300,000 preborn children every year. His belief is based on a dynamite combination of disinformation and extremely poor reasoning. First, Planned Parenthood does not provide as much prenatal care as it would like everybody to believe. Live Action released a video in January demonstrating this. Second, even IF Planned Parenthood offered amazing nationwide prenatal care, accepting the slaughter of more than 300,000 preborn children every year on the one hand to support prenatal care on the other is ludicrous! Should we support organ traffickers because of the people who ultimately benefit from the stolen organs? (Mr. King, if you are reading this, the answer is “no”). This type of thinking is backwards. An organization that slaughters innocent human beings every day would not be ultimately good because it also helps some human beings. Planned Parenthood’s never-ending stream of lies have confused many people, like Mr. King. The truth is that it’s not only consistent for pro-life groups to be against the nation’s largest abortion chain, it’s mandatory.